Many folks struggle when they sight-in a scoped rifle for the first time. A very common mistake is clicking the turrets in the wrong direction. That’s frustrating and it wastes ammo. Another common problem occurs when people sight-in at a distance other than 100 yards. People sometimes struggle to figure out how many clicks they need to correct point of impact if they’re zeroing at 200, 250, or 300 yards. 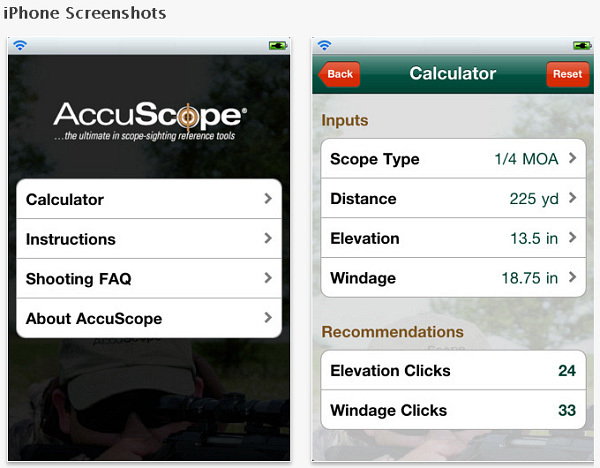 To make the sight-in process more fool-proof, AccuScope has released two handy Apps for smart phone users. Whether used for initial sight-in or in-the-field adjustments, these smartphone Apps can get you zeroed quickly and reliably. Given Murphy’s Law, a shooter can still mess things up if he inputs left clicks when the App calls for right clicks, or inputs down clicks when he needs up clicks. But as long as you look at the “R/L” and “Up/Down” labels on your turrets before spinning the knobs, you shouldn’t have any problems. 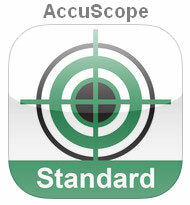 AccuScope is available in two versions, Standard and Premium. The $4.99 Standard version works for 1/4 MOA-click-value scopes. The $9.99 Premium version works with all scopes and any click values. The Premium version works with 1/8 MOA clicks, 1/4 MOA clicks, Metric clicks, or Milrad segment click values. So, if you have a scope with 1/8 MOA clicks, you’ll need the Premium version. Editor’s Comment: Does this App really provide a solution you can’t figure out yourself with simple arithmetic? No, but some math-challenged guys may find that the App prevents errors. Additionally, following the step-by-step process used by the App will probably help some shooters avoid confusion, and avoid wasting ammo clicking in the wrong directions. Note however, that there is an even simpler way to zero, if you have a very solid front and rear rest that will hold the gun absolutely steady while you click. After bore-sighting, fire a couple rounds (with the same point of aim). Then place the rifle so the center of the cross-hairs is exactly on your original point of aim. Next, without disturbing the gun in any way, dial your turrets so that the center of the cross-hair moves over the center of your group. That’s it. You’re now zeroed (though you may want to repeat the process for confirmation). Again, this only works if the gun doesn’t shift one bit when you’re clicking. Having a helper steady the gun as you click the turrets will make this “no-math” method work more effectively. Share the post "AccuScore SmartPhone Apps Help with Rifle Sight-In Process"
Last U.S. Lead Smelter Closes — Will This Affect Bullet Production? Doe Run started life in 1864 as the St. Joseph Lead Company, better known as St. Joe, which started lead mining on a small scale in southeastern Missouri. In 1892 it started up its smelter in Herculaneum, where all smelting was consolidated in 1920. Cause for Concern? Our readers have been concerned that the closure of the Doe Run smelter will lead to serious shortages in raw materials for bullet-making. Readers fear that bullet-makers won’t be able to source lead, and so the output of bullets and ammo would be reduced. Curtailed bullet production would lead to higher prices, it is feared. As it turns out, the situation is not as dire as it seems. At least one bullet-maker says the Doe Run smelter closure will have no immediate effect on its raw material supply chain. We have had many customers contact us about the closing of the last primary lead smelting facility in the USA. This facility is operated by Doe Run and is located in Herculaneum, Missouri and is just about a 3-hour drive from our facility in Sedalia, Missouri. The main question asked is “Will this shut down your supply of lead?” The answer to that is no. First, Sierra buys lead from several different vendors to maintain constant supply. Second, this facility only smelts primary lead or lead ore. This is lead ore that has just been brought out of the earth. Sierra uses no primary lead at all and never has, so we use nothing directly from this facility. 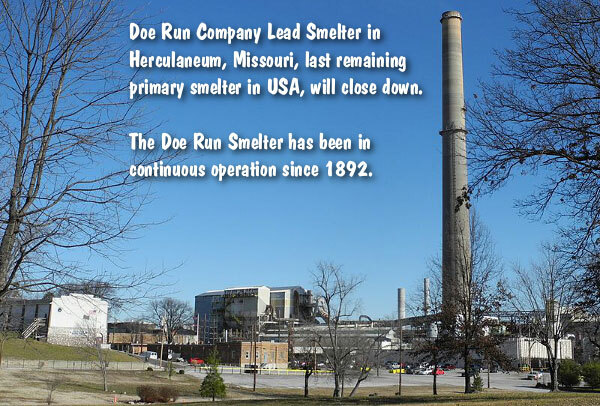 The lead we buy from Doe Run comes from their recycling facility in Boss, MO that is about 90 miles away from the smelter that is closing. There are many other primary lead smelters in the world and so the flow of primary lead will not be shut off. Where there is a need for primary lead, I am sure there will be a salesman more than happy to pick up the business. In short, we do not see any reason for alarm. We expect our supply to continue and keep feeding our production lines which are still running 24 hours per day to return our inventory levels to where they should be. “The lead industry has been transitioning out of the United States for over a decade now. 85% of the lead smelting industry capacity migrated over the Mexican border where there are [fewer environmental regulations]. The remainder of production capacity will be online and running by the third quarter of 2014. There has been no production disruption to speak of in obtaining lead or lead products. The auto battery industry among others has prepared for this eventuality for some time…. Share the post "Last U.S. Lead Smelter Closes — Will This Affect Bullet Production?" By popular request, this story has been reprinted from 2011. Forum member Al Nyhus is a top-level score shooter who has competed successfully with the 30BR cartridge in VFS (Varmint for Score) matches. Al has been working on an “improved” 30 BR cartridge that delivers extra velocity. Al’s 30 BRX cartridge is inspired by the 6mm BRX cartridge, popular in 600-yard benchrest and across-the-course competition. The 6mm BRX cartridge maintains the same sidewall profile and shoulder angle as the parent 6mmBR case. 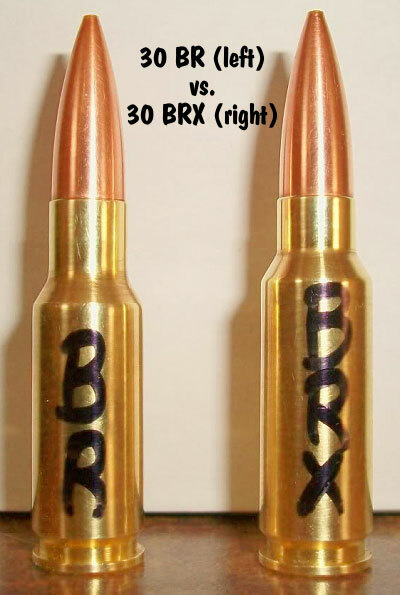 Likewise, the 30 BRX retains the 30° shoulder used on the popular 30 BR cartridge. Share the post "Wildcat Report: 30 BRX Developed for Score Shooting"
Remember “Spring Forward, Fall Back?” Well it’s time to set your clocks (and watches) back to standard time. Daylight Saving Time officially ends at 2:00 a.m. on Sunday, November 3, 2013. That gives us back the extra hour we lost in the spring of this year. 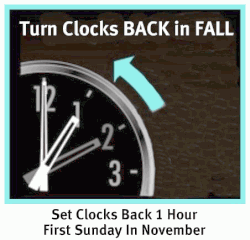 Share the post "Fall Back Friends — Set Your Clocks Back Tonight"